Did you miss the first week's subscription? 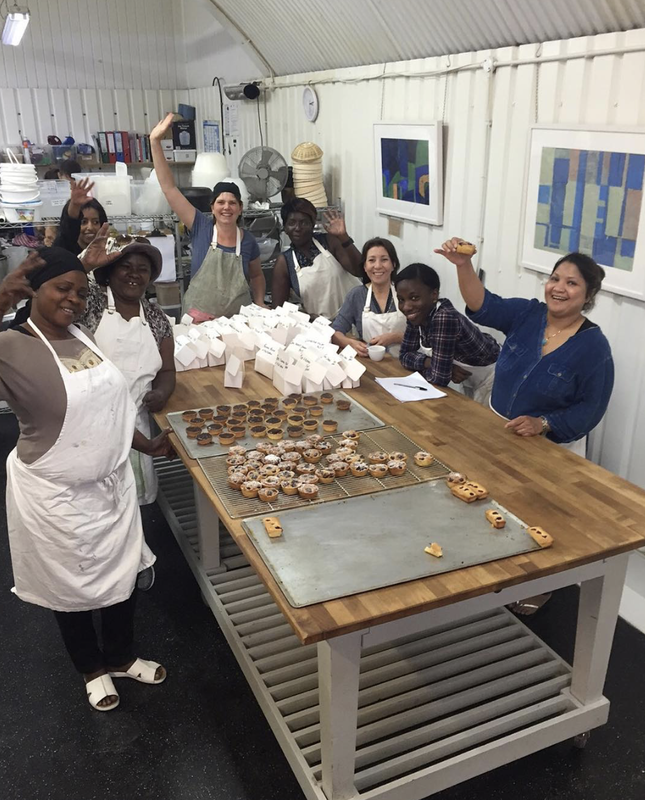 Don't worry you can still subscribe for the remaining 3 weeks at a reduced rate- follow the 'subscribe' link below..
e5 Bakehouse and e5 Roasthouse, working in collaboration with the Refugee Council, are helping groups of refugee women to gain the skills and confidence to work within the food industry and beyond in the UK. From 13th March 2018, a new group of ten trainees are participating in the Just Bread program for 10 weeks. During the training program, the participants will produce a range of bread which will be available to buy as part of a four week subscription service. Subscribers will receive one bread per week for four weeks, on the 3rd, 10th, 17th, 24th April. All subscriptions help cover program running costs and ensure we can continue to support this inspiring project. It also gives a sense of purpose and helps build confidence of the trainees as they are selling to real customers. The idea is simple; helping refugee or asylum seekers to integrate through the amazing power of food and sourdough bread. For 10 weeks, 10 refugee trainees come to our bakery on Tuesdays and learn about sourdough and the different sections of the bakery (kitchen, pastry, coffee making, butter, jam, flour milling). We are about to run a program with the 6th cohort, and we continue to learn and develop as we grow. The trainees have been bringing an amazing positive energy at the bakery. They are really curious, kind and open to our staff and their knowledge. It is also, for us, an extraordinary way of discovering new food cultures. Not surprisingly many of the participants are in a vulnerable position. They are under a huge amount of stress in a new country that is not always showing a warm welcome, and we hope these classes are providing some way of connecting people as well as building confidence and skills for employment. For each cohort of trainees, we have been trying to ensure that there is some access or opportunity for employment after completing the course. For example we ran a pop up food stall at Secret Cinema two years in a row, staffed by participants from the program. In September 2017, E5 opened a new café called E5 Roasthouse, situated in Poplar Union, a community arts centre. One of our aims for opening the new cafe is to provide employment for the refugee women who have taken part in the bread class training. One of the products we are producing at e5 Roasthouse is sourdough flatbreads. Elsa, one of our former trainees, is making approximately 400 flatbreads a week for Gourmet Goat, an award winning and sustainable street food stall in Borough Market. Elsa took part in our refugee program in 2016 as an Asylum seeker and after obtaining her refugee status, she is now employed at E5 Roasthouse. Fifi, Sana and Ramatulai, all from previous classes, are also working in the new cafe. We are pleased to announce a new collaboration with Paul Rhodes Bakery. Our trainees will be spending one week of the training at this bakery in London, to learn new skills such as cake decorating. Paul Rhodes are great supporters of the program and are offering employment opportunities for graduates, once this training is completed. You can also contribute towards the program by making a donation below. All donations will go towards program running costs and will mean we can continue supporting this inspiring project.